6 New poster for the movie. 34 Japanese ending in Netflix version?! 35 Mewtwo: "Stop that! People live in there!" | Is that an error? The second paragraph of the lede is way too winding and repetitive. I'd edit it myself, but the article's fully protected. Can someone edit it to something like the following, please? 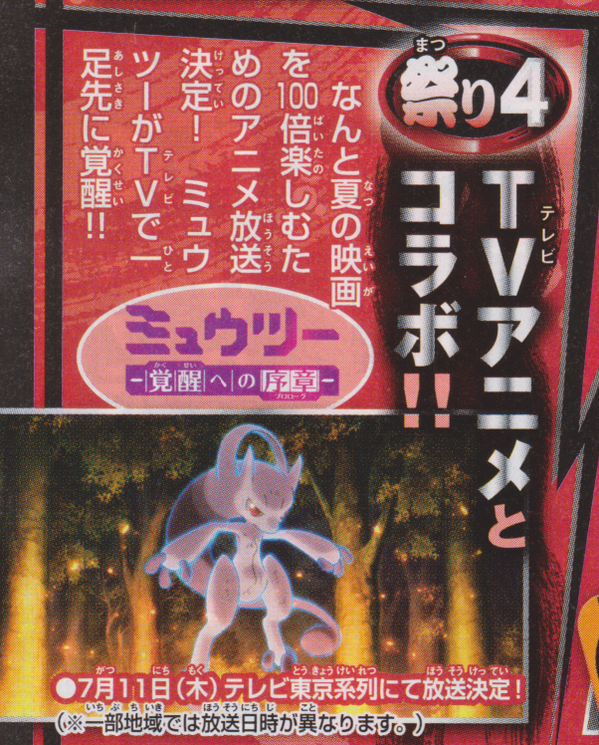 The movie is set to feature Genesect and Mewtwo in prominent roles. 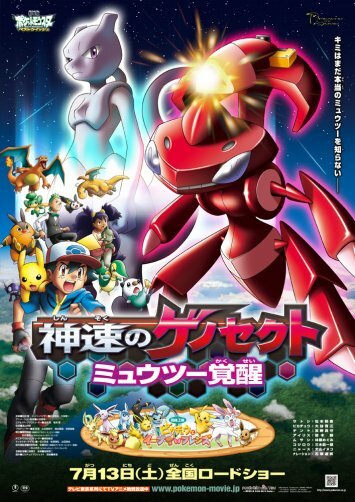 The "Genesect army", a group of five Genesect, will appear in the film, led by a Shiny Genesect. The other four Genesect represent each of the four Drives. 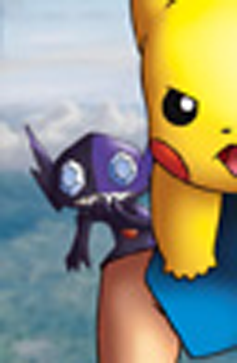 The Shiny Genesect is set to appear in Best Wishes! Season 2: Episode N before the film's release. I would do it myself, but since I can't: can someone who can edit this page add the following Pokémon: Sewaddle (multiple), Purrloin, Bellossom (multiple), Sawsbuck (Summer Form, multiple), Deerling (Summer Form, multiple), Persian, Herdier, Butterfree (multiple), Golem (multiple), Kirlia. New poster for the movie. Hey, I just watch this movie english sub of Cartoon Network and it is completely different from the second trailer. The main events occured in night, rather than in day; Mewtwo met Ash group for the first time underground, rather than in the garden; Genesect never intentionally attacked the city, and people never be panic; etc. Japanese ending in Netflix version?! So the movie was added to Netflix recently. I watched through it, and when I couldn't believe my ears...the Japanese ending theme was kept! No fooling. The entirety of the movie was the English dub as you'd expect, but then they decide to use "Smiling Face" instead of "We're Going Home" in the credits! Mewtwo: "Stop that! People live in there!" | Is that an error? This page was last edited on 18 September 2016, at 20:32.